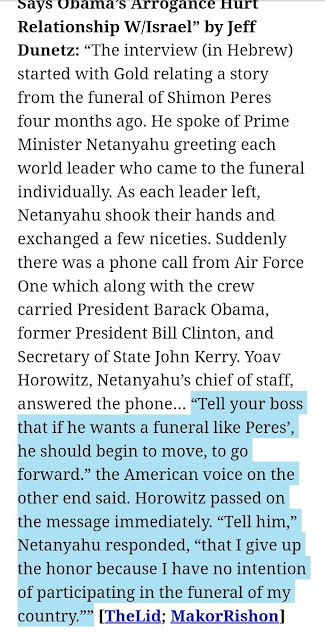 OK, if the call was made from Air Force One, either on the tarmac or in the air, I've got to assume that Obama "showed respect" to Peres by skedaddling out of the service as soon as they could, and possibly without even shaking Bibi's hand? And then he calls while Bibi is still in the receiving line to make a catcall? If historians are fair to him, Obama's picture is going to be next to the words "pompous" and "jackass" in future dictionaries.